Another classic Moomin story reworked in full color, with a kid-proof but kid-friendly size, price, and format. Moominmamma wakes up one morning to find a flying saucer has crash-landed in her cabbage patch. There's a strange machine dangling out of it that seems like it could be used to fix their broken radio, but when Moominpappa starts fiddling with it, he turns himself and Moomin invisible! Each knob on the machine causes strange and unlikely events to transpire, until the Martian finally recovers possession of its property. 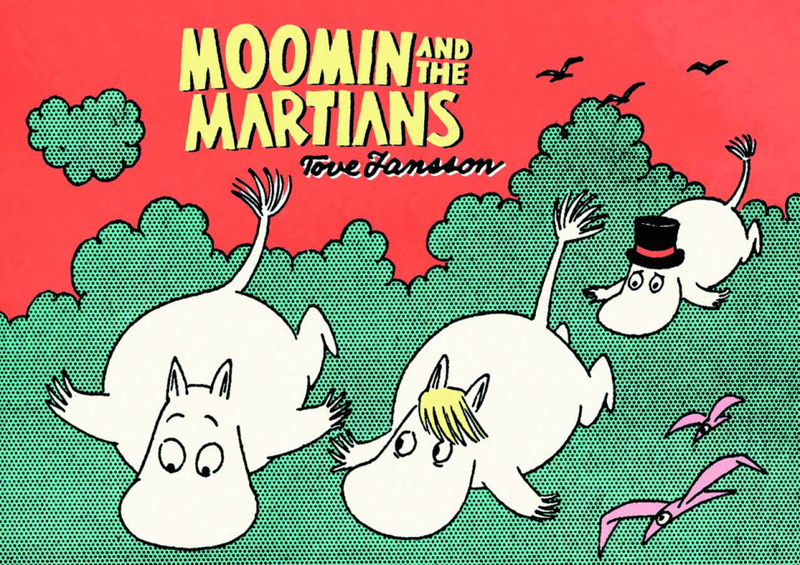 Moomin and the Martians is a lighthearted romp that reaffirms the importance of family.